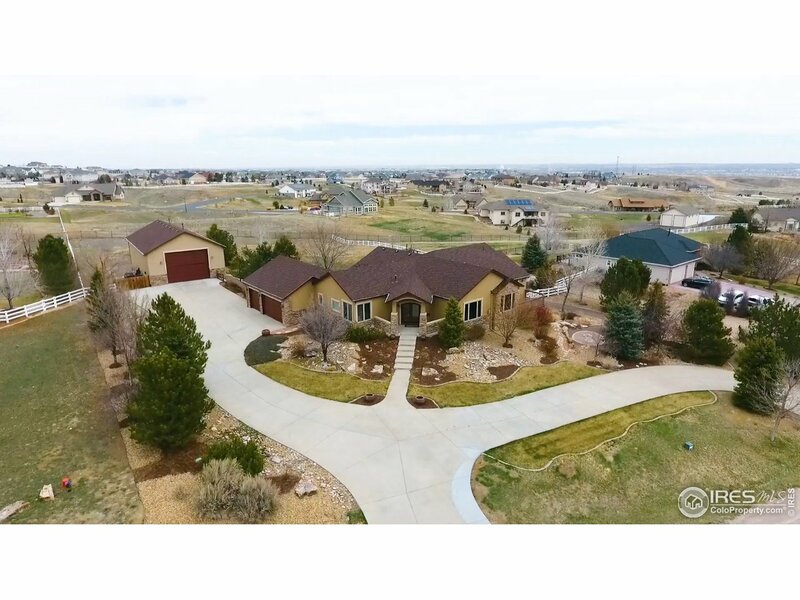 All Brighton homes currently listed for sale in Brighton as of 04/25/2019 are shown below. You can change the search criteria at any time by pressing the 'Change Search' button below. 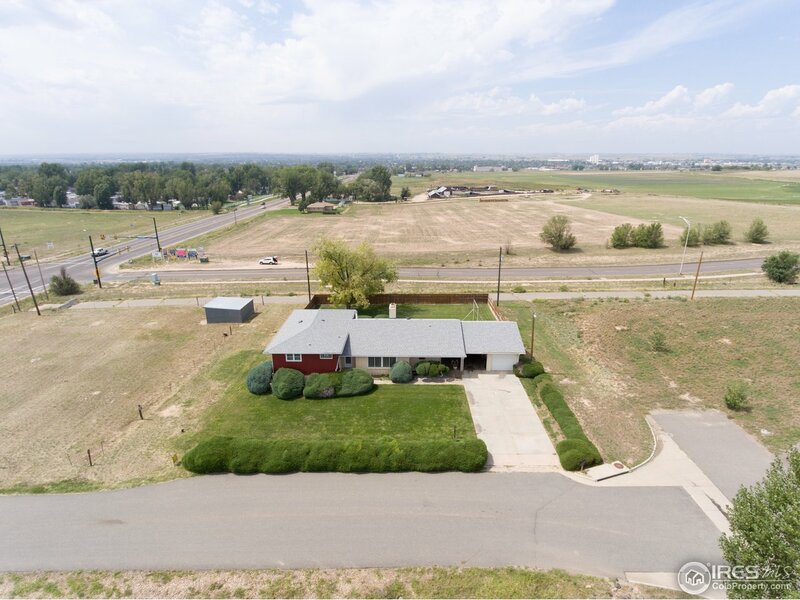 "55+ acres located at the intersection of Colorado Blvd., and 168th Ave. mid-century dairy farm with all the outbuilding associated with owning and operating a small dairy, including milking parlor, multiple loafing sheds, machine shed, hay shed, garage/shop, silo, with plenty of corrals, and pasture. Enjoy the historic nature of this great property or buy and create your own history! Family farm with many memories! Broker and Seller are related parties." 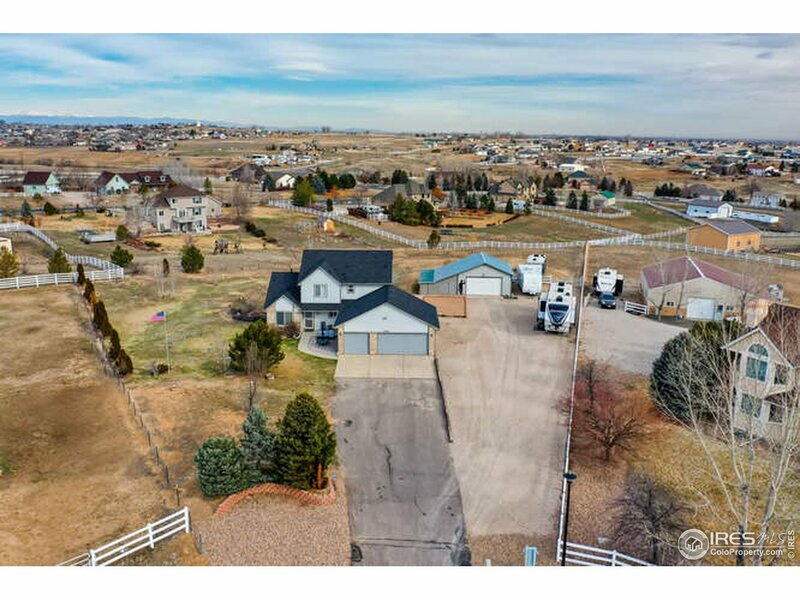 "12 Ag-zoned acres in the Heart of Brighton*Unincorporated Adams County*Custom 1970 ranch home with pool, tennis court, attached & detached garages*Buildings galore include barn, shops with some on a month-to-month lease*Development potential is extraordinary*The double-wide manufactured home is under a Special Use Permit, and the buyer can check with Adams County if that is transferable* If buyer doesn't want the double-wide seller will move it off the property*"
"This privately rugged and refined horse/equestrian property has 3 bed, 4 bath, and office that could be a 4th bed. 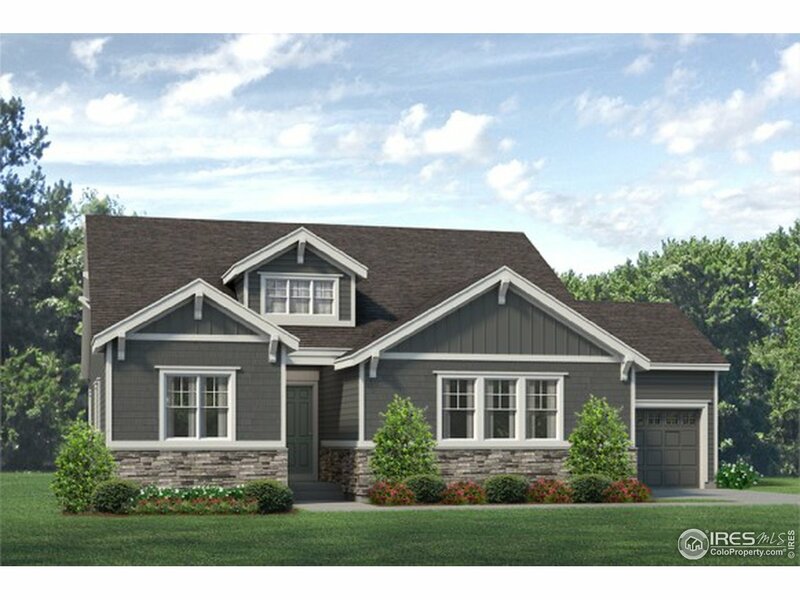 From the granite counter tops,custom cabinets,soft close drawers,custom blinds and shutters throughout that includes a mudroom, great room,family room, 5 piece master bath with a steam shower, jetted tub, huge walk in master closet attached to the laundry room. 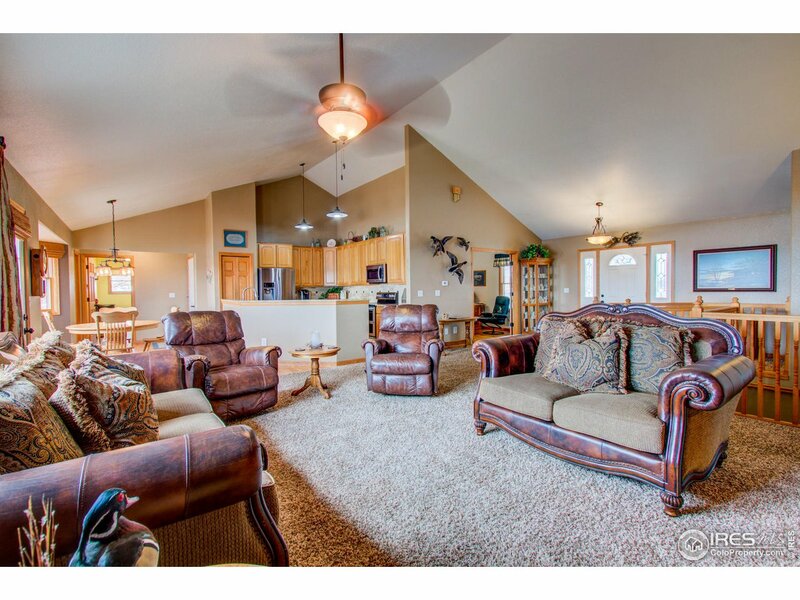 Double-sided fireplace,radiant heated floors, 3 car garage and all located on 21 acres along the South Platte River." 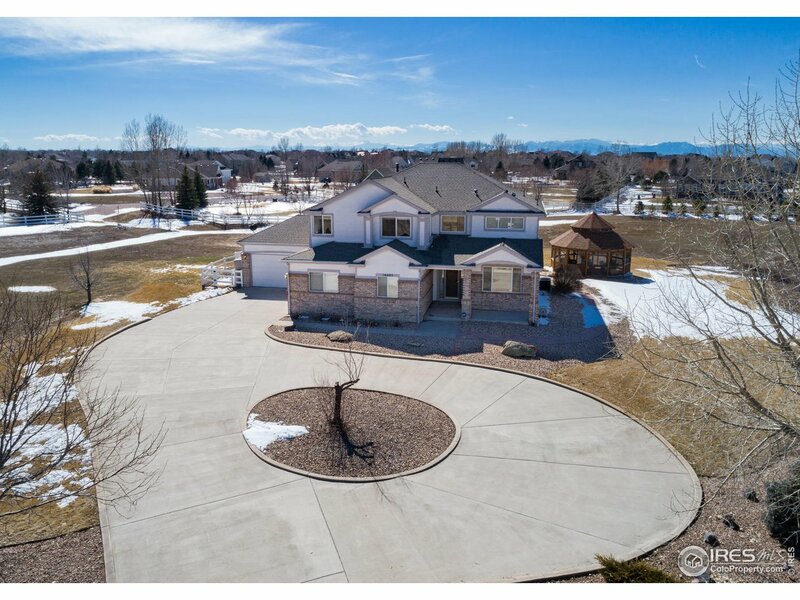 "Premium custom home,located on almost 40 acres just east of Brighton offers main floor bright spacious master retreat,2-sided fireplace & sitting area,his/her walk-in closets & luxurious master bath w/ marble flooring,Jacuzzi tub. Gourmet kitchen,granite counters functional island, gas range, double oven. Upper level offers 3 well-sized bedrooms each w/ its own private bath. Lower level/basement 3,000+ sqf,full custom kitchen,2 baths & laundry room-new cabinets/sink. Only 15 min from shopping." "Beautiful 10 acre estate in Brighton offers the option to mix work and home. Home has a office off of the foyer. Large living room and kitchen with granite counters and stainless steel appliances. Master is open and airy with vaulted ceilings. Finished basement incl a game room, theater, bar, two bdrms and a bathroom. Spacious barn is 42x90 with 14' overhead doors. It has in floor radiant heat throughout, is insulated, has a studio apt with a 3/4 bathroom, an office and a 800+ sq ft loft." "Original owner custombuilt ranch, walkout basement GIANT outbuilding! Kitchen, granite, doubleoven, cooktop, builtinfridge, winefridge, master w/ 5 piece bath & balcony, mahogany office, laundryroom. Basement w/ 2 bedrooms(1 ensuite & walkout), entertaining & bonus area. Outbuilding:built 2014 ~$212k ~2000 sq/ft, 14' walls, insulated, drywalled, heated, electrical 110 & 220, loft, 1/2 bath, builtincabinets, lights, RV dump, floordrain, waterfaucet. Landscaping, new roof & exteriorpaint, hot tub"
"Luxurious horse property on out skirts of town. 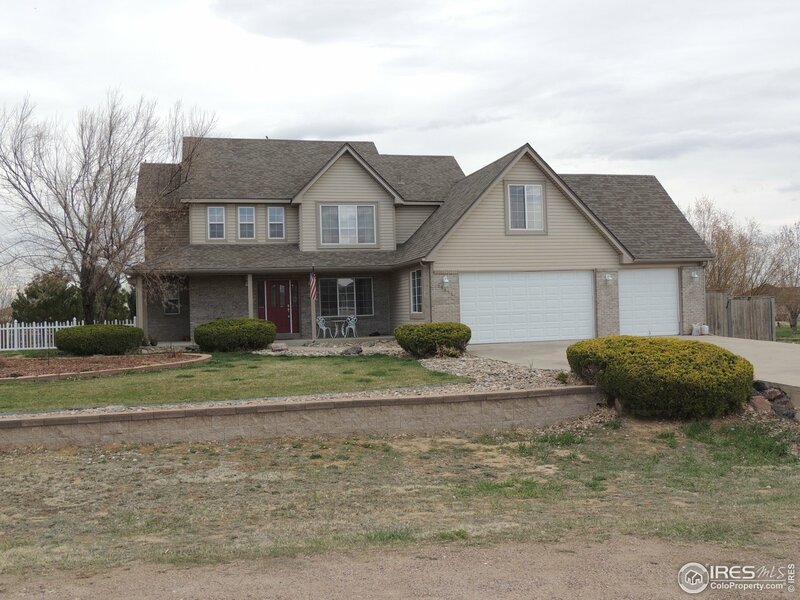 Stunning 2 story home on 2+ acres. Impeccable fully remodeled home w/ finished basement. 2 large shaded patios,Formal living & dining rooms,1 of a kind lg master suite w/ Mountain Views & private balcony.Movie theater w/ stadium seating. Out building/Barn w/ 2 stalls for horses or 4 wheelers/jet skis. Outdoor run & space for horse walker. No HOA's allow you to add an RV stall.Its tough to list all the indoor/outdoor features of this home." "WELCOME TO THIS ONE OF A KIND CUSTOM BUILT HOME! THE HOME FEATURES BRAZILIAN CHERRY HARDWOOD FLOORS, SOLID CHERRY TRIM & SOLID CHERRY CUSTOM BUILT IN CABINETRY, HIGH-GRADE GRANITE COUNTERS & A DSC NATURAL GAS CHEF'S OVEN. THE MAIN FLOOR MASTER SUITE FEATURES A WALK IN SHOWER AS WELL AS A WHIRLPOOL TUB. THE FINISHED WALK OUT BASEMENT IS PERFECT FOR WATCHING YOUR FAVORITE MOVIES & SPORTING EVENTS AND FEATURES A HOME THEATER WITH BUILT IN SURROUND SYSTEM & WET BAR." "UNICORN ALERT. Incredibly RARE and SPECIAL. Your search is over, this property HAS IT ALL. 5 bedroom, 3 bath ranch. Finished Walk Out Basement with 2 beds, full bath, craft room, family room, wet bar. Separate Mother In Law apartment with Bedroom, Full Bath, Kitchen, Living area, Dining space and separate driveway. Giant Outbuilding-Covered RV Parking. All information herein deemed reliable, but not guaranteed. Buyer to verify all information. Professional Photography color enhancement." 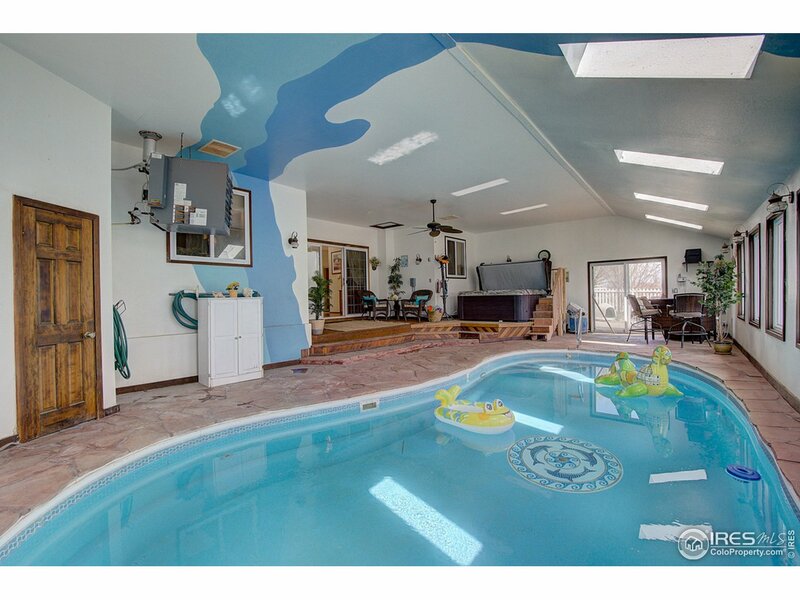 "Welcome to this wonderful ranch style home complete w/every high-end fin imaginable. Perfectly situated on 1+ acre, fab loc. Backs to open space w/Mtn views. 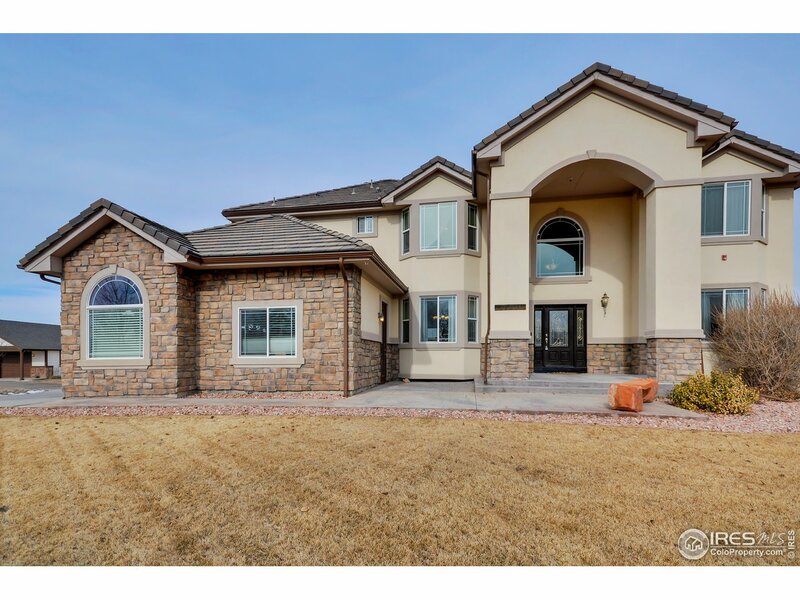 Former capital Pacific Model home, must see from the built-ins to the lavish amt of wood, tile, granite & travertine. Back yd has putting green & spa. Ample area in bsmt for movie, game rm or ? Complete w/wine rm & full wet bar/kitchen/entertainment area that'll Wow the most discriminating Buyers. New roof New sprinkler system IN 2018." "Vaulted family rm w/wood flooring,wet bar, gas fireplace&ceil fan. Kitchen w/wood flooring,oak cabinetry w/pantry&breakfast bar island.Bay windowed nook w/built-in desk.Master suite w/deck access&his & her closets.5 pc. 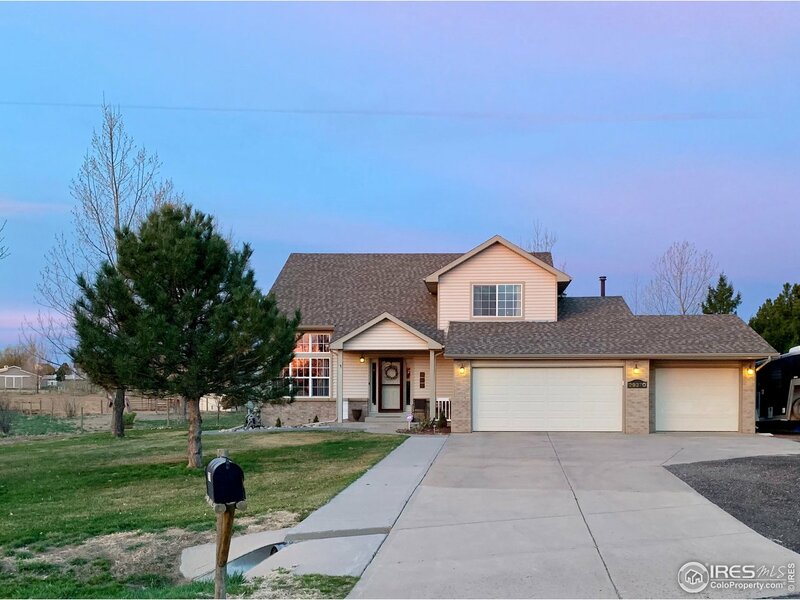 bath w/tile flooring.Finished walk-out basement w/bedroom,study, recreation/exercise room,wet bar, 3/4 bath& large storage/mechanical rm.Storage shed,sprinkler system&50'x30' out building/8 car garage. Whole house surge protection.Washer&dryer included.Up to two horses allowed." 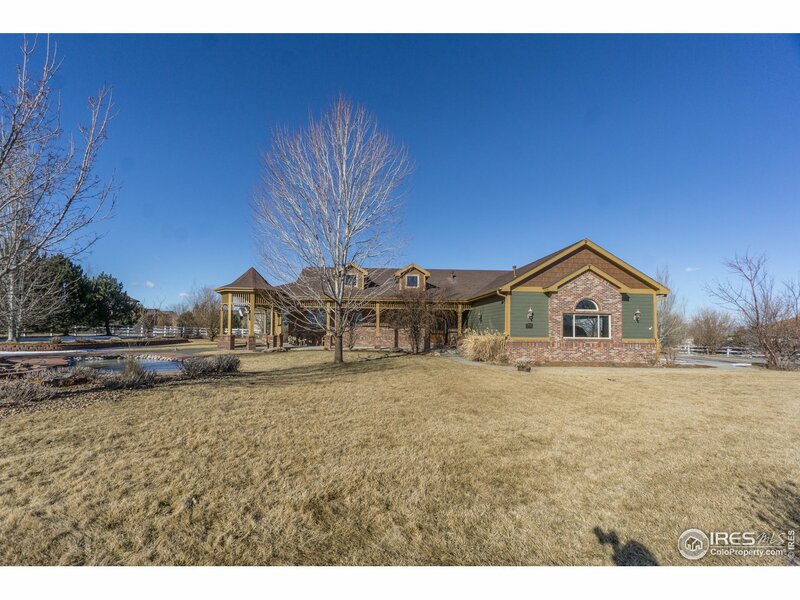 "This gorgeous custom ranch home on over an acre is rare and amazing! It is loaded with upgrades including granite counters in the kitchen and all bathrooms. Inviting wrap around porch. Open main level with high ceilings and mountain views. Finished basement with huge family room, bedroom, bathroom, and two storage areas. Finished and heated over-sized side load garage. Professionally landscaped yard with sprinklers, mature bushes, trees and a water feature. Expansive mountain views." "Your dream kitchen features high-end Thermador appliances and hood, Alder kitchen cabinetry, Quartz counter tops, and topped off with designer mosaic tile back-splash and accents. Flowing nicely from the kitchen is the 2-story family room with floor to cathedral ceiling picture windows anchored by a stately gas fireplace. The master is neatly nestled in a private wing on the upper level. The back yard takes you away with a truly one-of-a-kind outdoor living space." 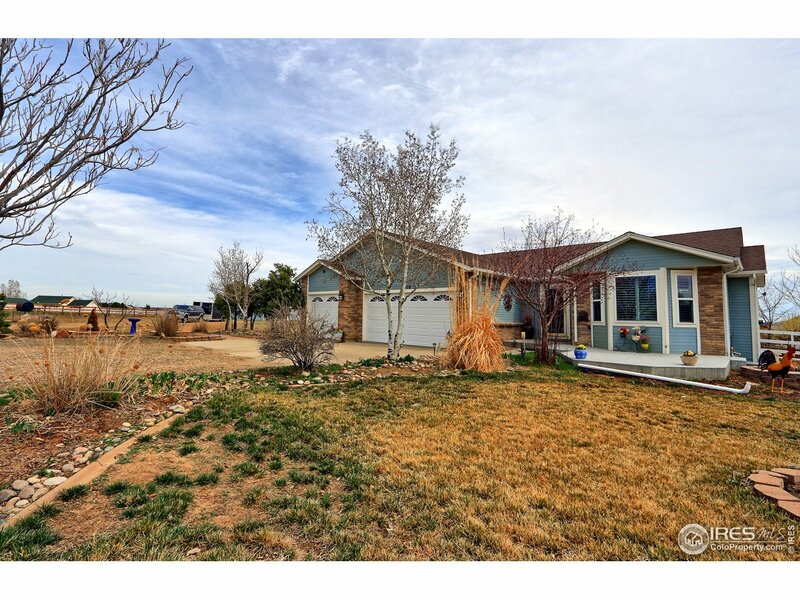 "Incredible remodeled 2.2 acre horse property with 3 garages/shops. Renovated Kitchen with raised panel cabs, solid quartz counters, commercial grade stainless appliances, tile floors & backsplash. Solid Oak floors & plantation shutters throughout. Master Retreat with private spa like bath. Fully finished basement with huge Family/Rec Game Room. 2 large Guest Suites in basement & large bath with jetted tub. New covered back patio with stamped concrete, fountain & gas lines for grill & fire pit." "Rare home with an indoor pool.The pool room is heated and has a 3/4 bathroom & the new 2018 hot tub is included! The main floor features Italian tile in the kitchen & a separate living room which can be a great library.There are covenants but zero costs.The master bedroom features a very large his/hers walk in closets & upstairs laundry.The bathroom has spa like feel. There is a main floor bedroom and a full bathroom. The Seller has had $70,000 of upgrades in 2018! Country quiet and city close." "Custom acreage home in desirable Foxridge Estates. 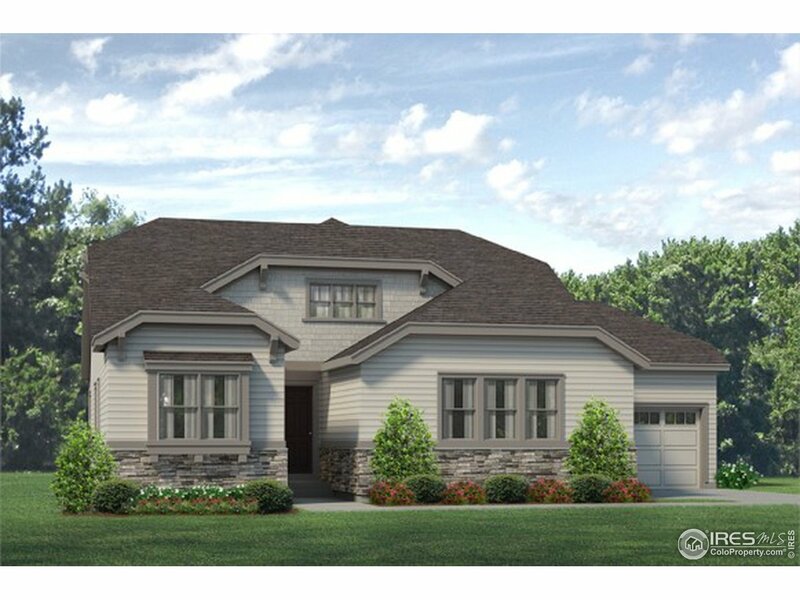 Wrap-around front porch, custom finishes throughout, gas fireplace, finished basement, large bedrooms, with multiple living areas. Attached 2-car garage for your cars and detached, over-sized 2 car, 2-story garage for your projects. Buyer to verify all information. Seller is not including any mineral or oil rights with the sale of the property. Home is on septic. New roof, appliances. Seller is related to listing agent." "Quiet country living, close to the city.Fantastic house in Foxridge Estates without HOA's bring toys & animals!Home sits in a cul-de-sac.The home is situated on 1.48 acres great outdoor living spaces on 3 different decks & patios to enjoy the summer from any one of them with mountain views.Main floor master w/ walk-in closet & master bathroom & TV included. The upper level features 2 bedrooms and a full bath.Basement has another family room with wet bar & 2 bedrooms & a 3/4 bath." 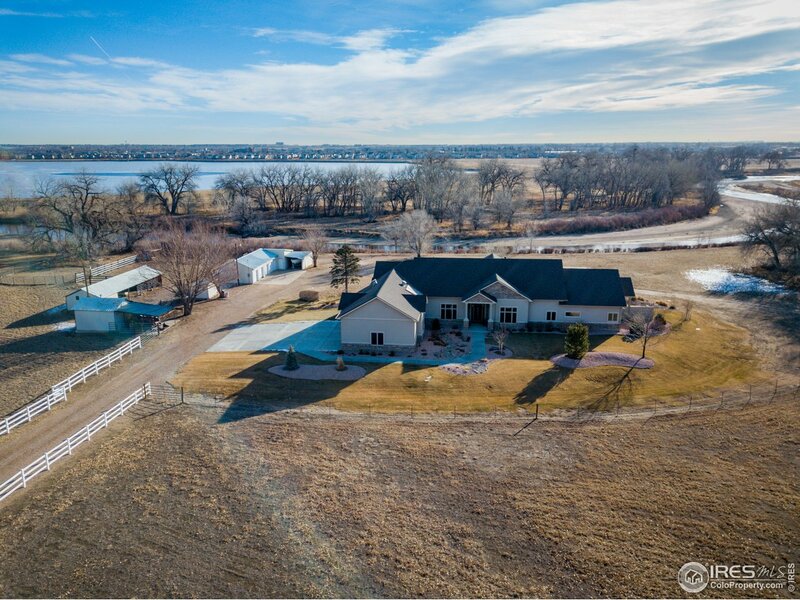 "Extremely well cared for, located in a true equine friendly subdivision.This wonderful home sits on 2.3 acres completely fenced. Outdoor hydrants and automatic horse waterier.Recently remodeled with new high-end stainless appliances, granite counters in kitchen and all bathrooms new paint in tasteful designer colors newer roof and hot water heater,high-end fixtures,hand-hewn wood flooring,tile in kitchen and all bathrooms. 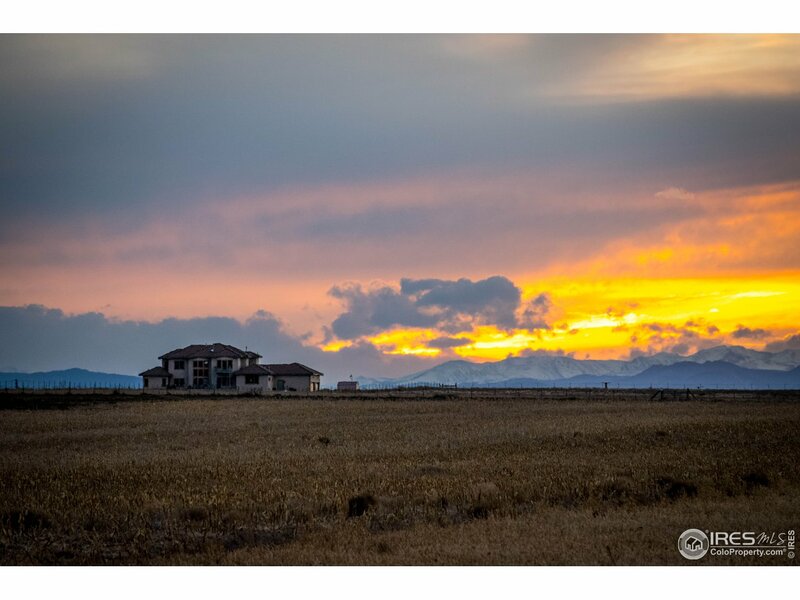 Basement is finished.Easy commute to anywhere along the front range." "Reduced by $25,000! If you need room to roam, a place to park a camper or RV, then you have met your match! High ceilings adorn the Living Room & Natural Warm Light shines through each & every turn! Kitchen overlooks the Family Room! Basement is finished with a 2nd Living area & bedroom. 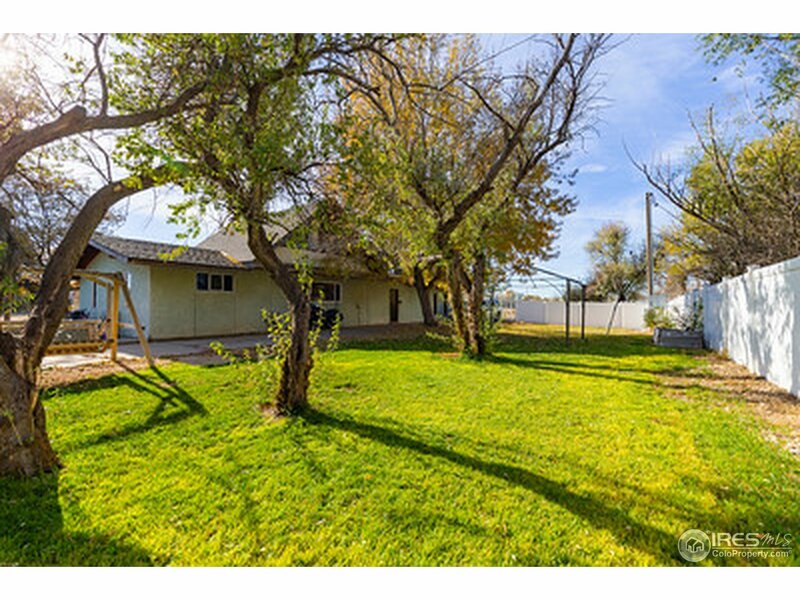 Situated on over an Acre, this home comes w/a very desirable Outbuilding/shop & Horse Barn! The backyard is perfect for entertaining & is ready for your Summer BBQ's!Brand new furnace & hot water heater!" 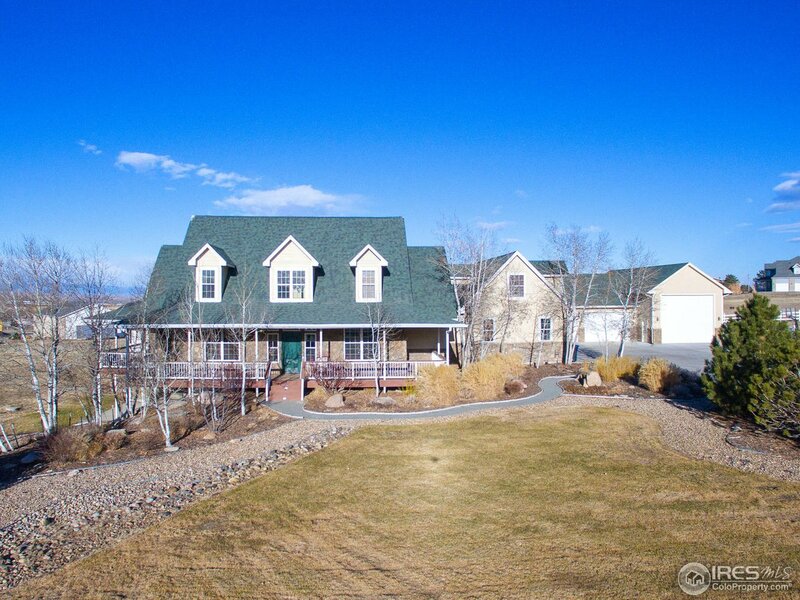 "The Minturn is an open-concept ranch floor plan w/4 car garage. As you enter the home, you will see a bedroom, full bath, half bath & study. The kitchen, great room & dining room are open w/eng hardwood floors. The kitchen includes stainless steel appliances, maple cabinetry, kitchen island & granite countertops. Towards the back is the owner's suite w/walk-in closet & deluxe owner's bath. This home includes a finished lower level w/game room, rec room, two bedrooms, full bath & wet bar." 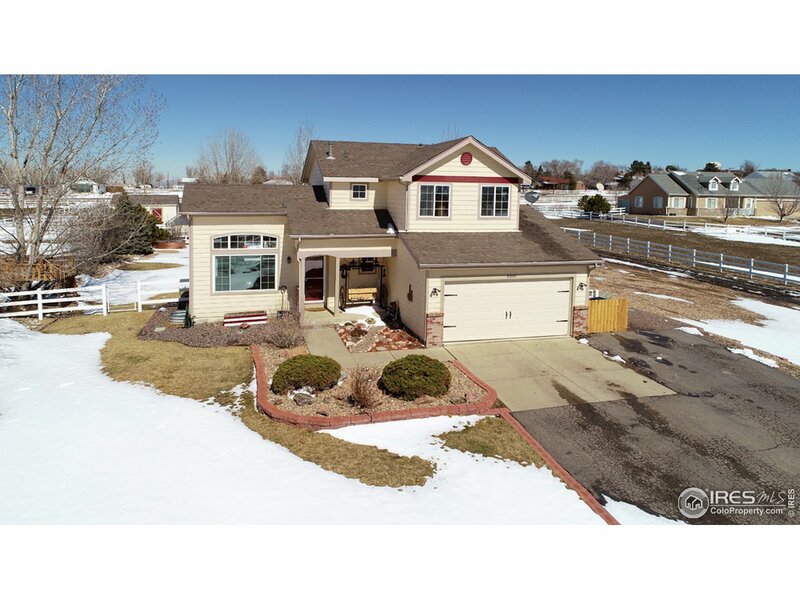 "Don't wait to see the beautiful 2 story home in the desirable Rocking Horse Farms of Brighton. 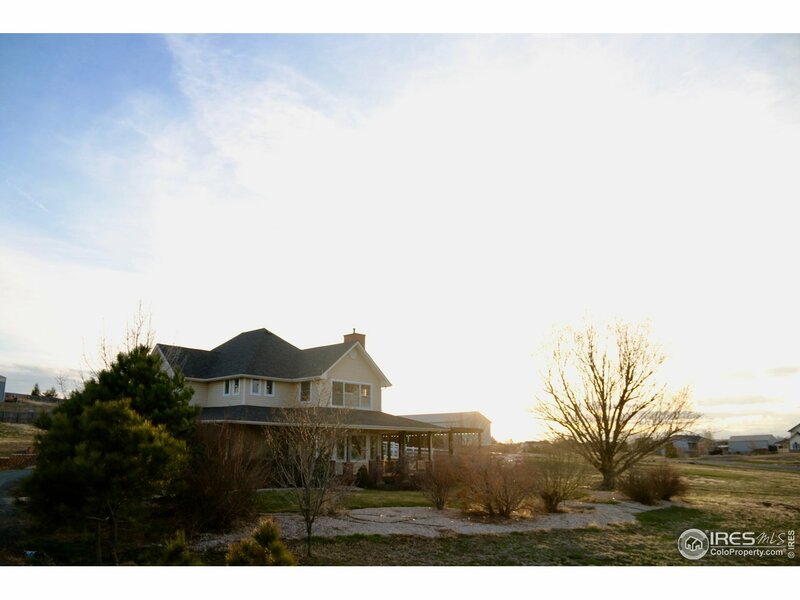 This home is situated on a 1.8 acre peaceful country lot where horses&farm animals are welcome. This home is full of upgrades: a spacious kitchen w/ granite counters, stainless steel appliances, massive pantry & breakfast bar, main floor master suite w/ 5pc bath, finished basement, fresh paint, new flooring, all appliances included, no HOA, RV parking & so much more. Hurry to see this one for yourself!" "Absolute Pride of Ownership! Gorgeous retro-style home on 1.5 acres w/oversized 2-car garage. Large gourmet kit w/tile countertops, tons of cabinets, pantry w/rotating shelves. Vast fam rm w/built-ins & corner wood fireplace w/marble hearth. Separate din rm & liv rm w/huge picture window. Mstr bdrm w/double closets. Lower garden level w/massive great room w/tons of natural light. Breezeway w/mtn views, concrete lined fence w/steel posts. 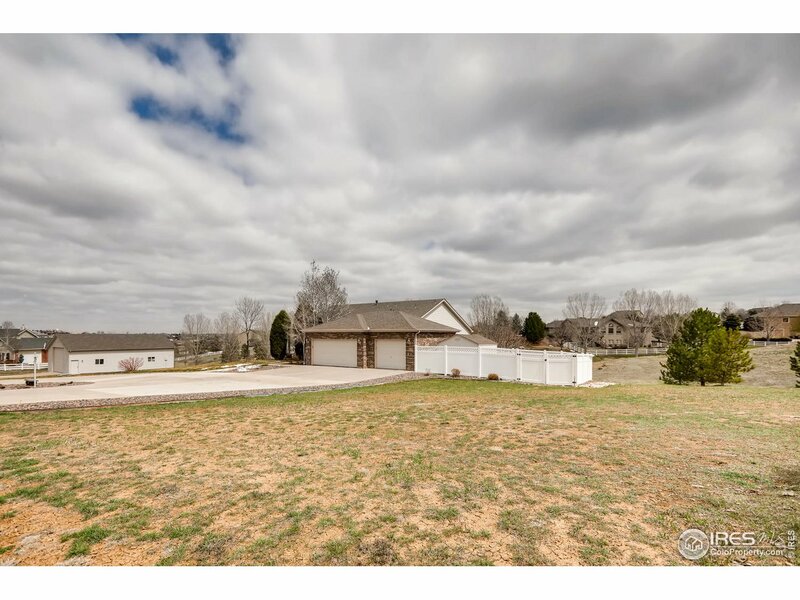 Open space w/potential for outbuilding, garage, shed, etc." 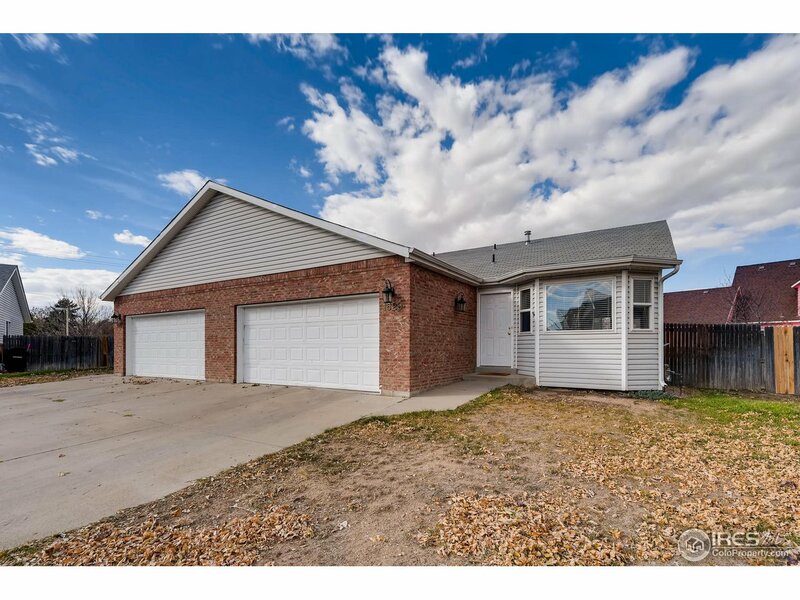 "Nice duplex with great rental history, each side is a 2 bed 2 bath with an attached 2 car garage and full basement one side has been nicely updated and is easy to show"
"As you are in the entry, you will see two bedrooms & two baths. The kitchen, great room & dining room are open to one another & there is a fireplace in the great room. The kitchen includes stainless steel appliances, maple cabinetry, granite countertops & kitchen island. There is a back patio on this home. Towards the back of the home is the owner's suite with a large walk-in closet & deluxe owner's bath. This home includes an unfinished basement. The photos are examples of the floor plan only."